not unlike Chomsky at the CIA front MIT. I exposed you at ICH. Begone bearded Secker, truth teller in disguise, disinfo agent. I have no idea what podcast you listened to, but I don’t believe it was ours. 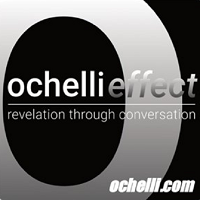 No where in this podcast did we ever “reinforce the official war on terror Al Queda Bush/Obama ‘evil doers’ script…” I suppose though with people like you it does not matter what we actually said because you most likely did not actually listen to the discussion. Rather than say, provide examples of our alleged misinterpretations, you just call us gatekeepers and disinfo agents. It amazes me that disinfo agents like you throw around terms like disinfo agent against people who speak the truth. So you are on notice as an idiot and a shill. For the record I completely agree with you that Chomsky is a gatekeeper. Look at Seckers many appearances, investigating the terror show, his “expose on 7/7 reinforces the official story not the false flag it actually was, same with 9/11 Truth – Seckers wishes us to believe there is actually Al Queda independant of US intel, that Bin Laden and middle east arabs did 9/11 rather than the evidence of US military false flag, so too is your emphasis of Syria, Libya a distraction to blame arming Al Queda on Saudis and Gulf stooges rather than on Obama/ the CIA, and the Syria slaughter is entirely a Obama covert pet project, and so too did Tom Secker debunk the evidence of Boston Bombing coverup. His bearded visage looks like one of the many disguised British or American Iraq car bomb “arab” provacteurs used set off terror abroad. Tom Seckers newspeak reeks pf a deep cover agent.Tom is one of these alternative bloggers who supports the carnage and many “surges” like Al Franken, Juan Cole, and Raimondo or these Foundation funded NGO liars like Alex Cockburn, or similar establishment NWO anti- conspiracy hatchet men. Not really sure what to make of this story. Again no one seems to be able to explain how she traveled from Syria, where she was training female suicode bombers, all te way to Ukraine. Why would she even go there to fight the Russians? It’s not as if it’s a hotbed for jihadist militants. It is curious that this is the first time that it’s not the UK breaking a story on her. And even more curious that they would let one of their best propaganda tools be taken out. I think we will have to wait and see how this develops.